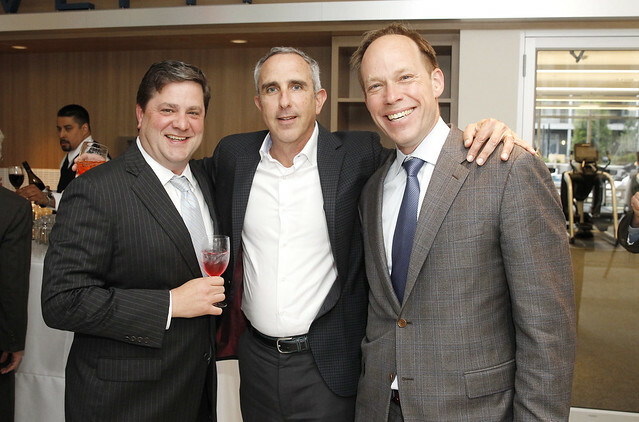 The Rockefeller Group, the developer of the buildings, hosted the broker open house on April 24 alongside Cushman & Wakefield, which is marketing the office site. The developer announced last month that it was moving ahead with the proposed build-to-suit, which could accommodate up to 300,000 square feet, as part of the next piece of its master-planned redevelopment site known as The Green at Florham Park. In the process, Rockefeller showed off the most recently completed segment of The Green, the new 256-unit flexible stay community known as AVE Florham Park. Developed with Korman Communities, the project features high-end suites and amenities geared toward corporate housing and relocations. The AVE joins the New York Jets, BASF’s North American headquarters and a Summit Medical Group medical office facility at The Green, the site of a sprawling former ExxonMobile research campus. Most recently, Rockefeller broke ground on a state-of-the-art Summit Medical Group MD Anderson Cancer Center at the rapidly changing campus.